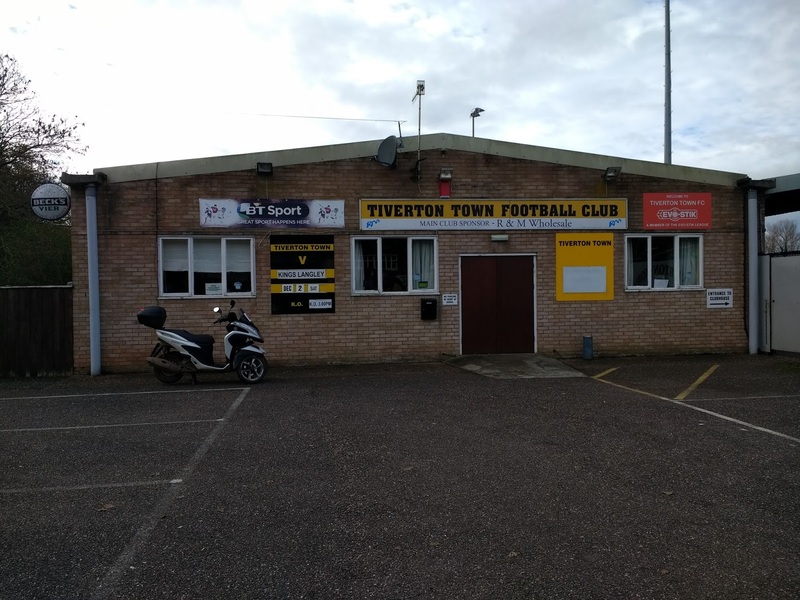 The club was established in 1913 and were initially known as Tiverton Athletic. They spent the first 60 years of their history in local leagues such as the East Devon, North Devon and the Exeter & District. 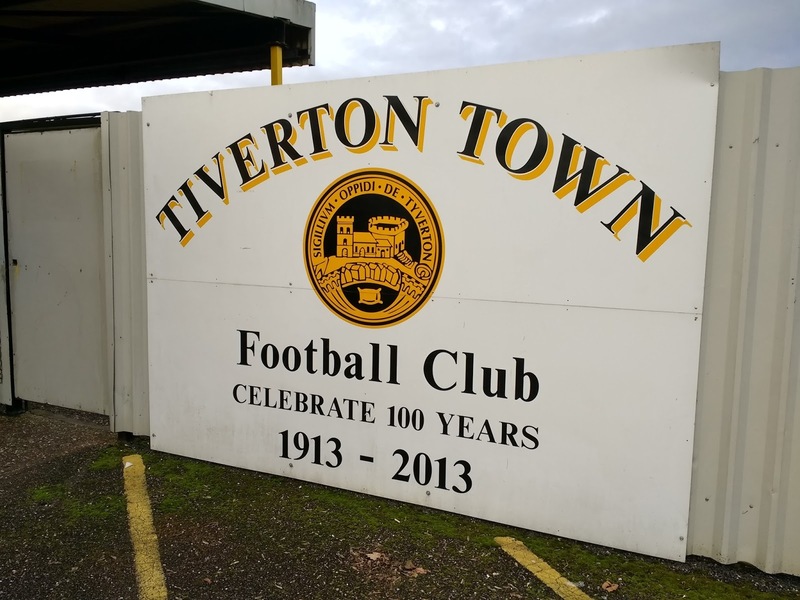 In 1973, Tiverton made the step up to the Western League. 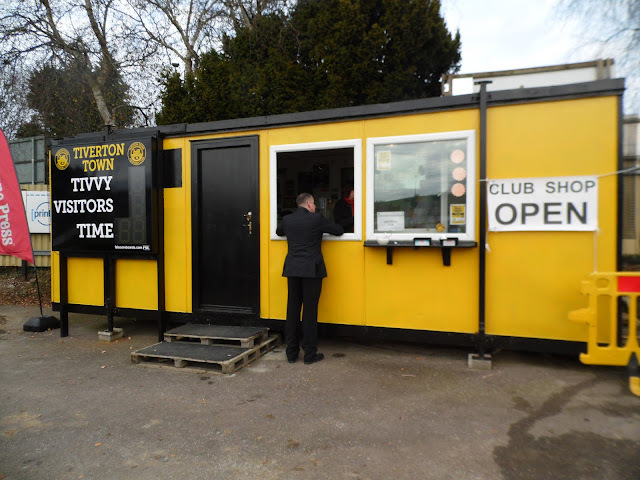 When the league expanded into two tiers in 1976, Tiverton were placed in the Premier Division, gaining a 5th placed finish in 1979. Despite this, they were relegated to Division 1 two years later after finishing bottom. It took them some time to recover, with Tiverton finishing bottom of Division 1 in 1984. 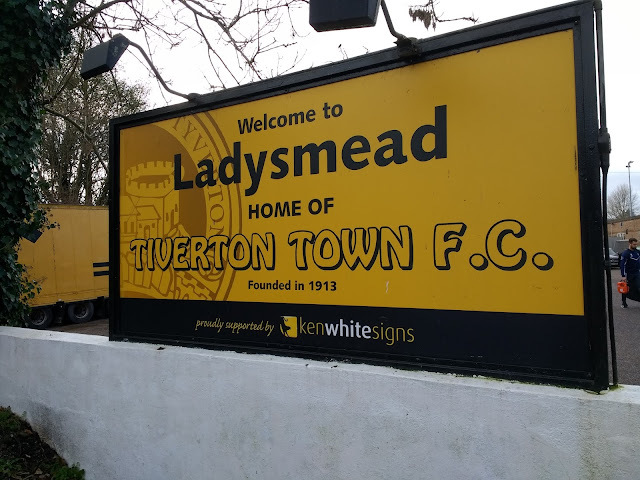 They eventually won promotion to the Premier Division 1989 as a runners-up spot behind Larkhall Athletic was good enough to see them go back up.This saw a huge change in the club's fortunes and Tiverton never finished below 4th after their return to the top tier. This included 4 league titles, but it was after a runners-up spot behind Taunton Town that they won promotion to the Southern League in 1999. 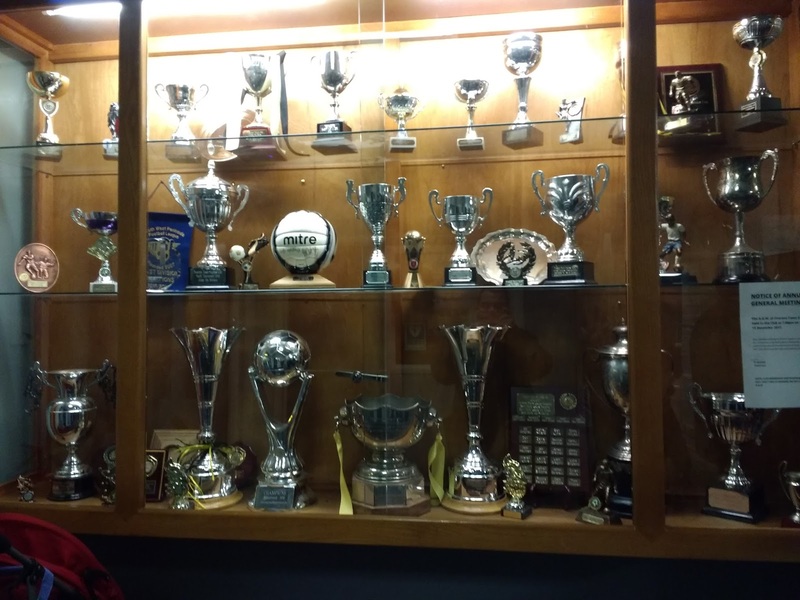 Starting in the D1 West, the excellent form continued with a 4th place finish in their first season, followed up by a runners-up spot behind Hinckley United in 2001. Two years later, Tiverton gained their best ever league finish when they finished 4th in the Southern Premier, which at the time sat at step 2 of the non-league pyramid. However, they missed out on promotion to the newly formed Conference South when they lost 3-1 to Dorchester Town in the playoff final. They remained in the Premier Division until 2011 when they finished 2nd bottom and were relegated to D1 South & West. 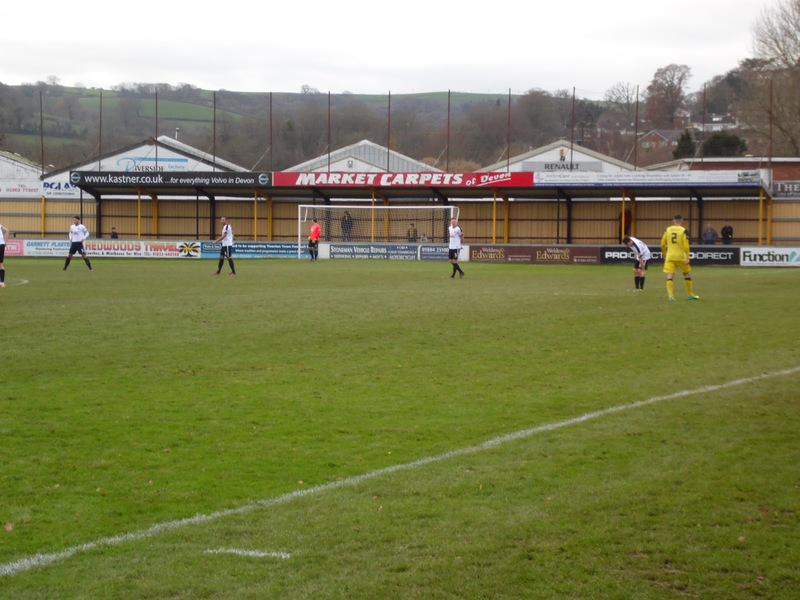 After failing to gain promotion in the 2013 playoffs, Tiverton put things right last season, winning 2-0 in the playoff final at Salisbury to win promotion back to the Premier Division. This season has started very well, with Tiverton Town sitting in 3rd place at the start of the game. 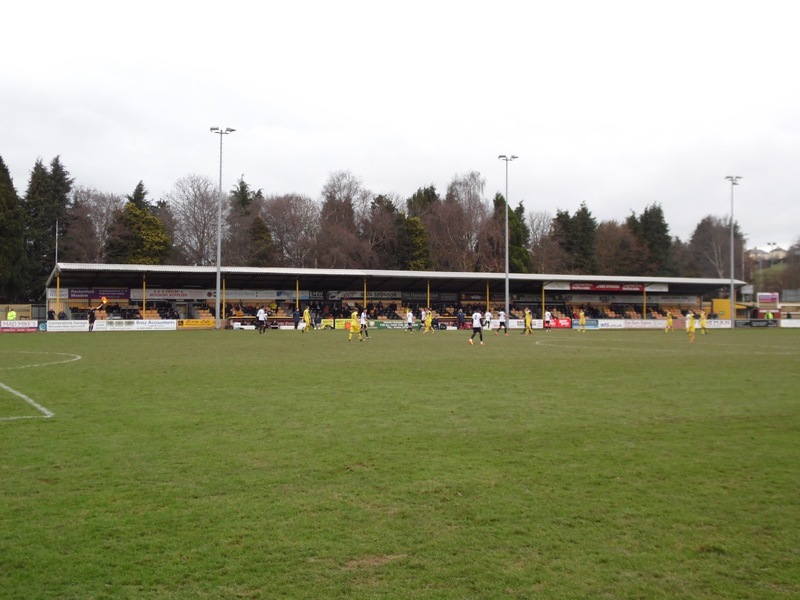 Tiverton Town has had a number of good runs in the FA Cup, reaching the 1st Round on 7 occasions. Probably the most well known of these came in 1995 when they lost 3-1 at home to Leyton Orient. It was featured in the cult documentary 'Orient - Club For A Fiver' when in one of the few printable quotes from potty-mouthed manager John Sitton, he described Orient's performance as 'naive. 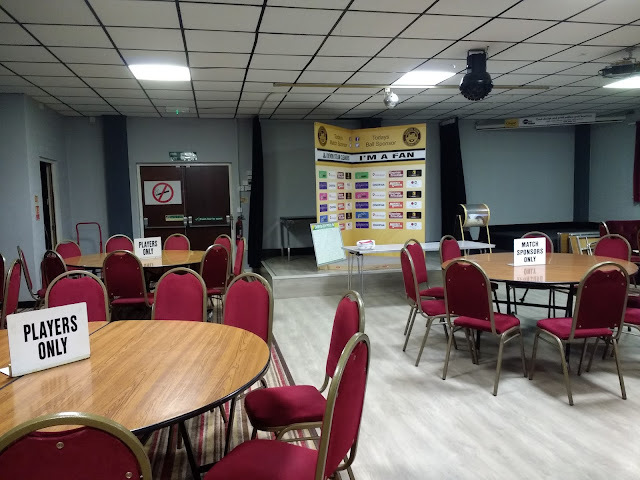 The club has also won the FA Vase twice in succession, beating Tow Law Town in 1998 and Bedlington Terriers in 1999, that after finishing as runners-up to Bridlington Town in 1993. 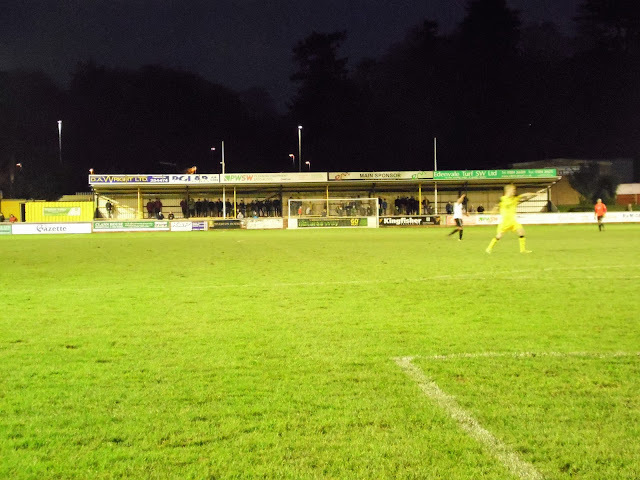 There was a notable run to the FA Trophy 5th Round in 2001 with victories over Sittingbourne, Aylesbury United, Hendon & Boston United before a narrow 2-1 defeat at home to Worksop Town. Local honours have been numerous with the Devon St Luke's Cup being lifted on ten occasions, the Devon Senior Cup twice, the Southern League Cup in 2007, five Western League Cups and the Western League Amateur Trophy twice. A number of notable players have turned out for Tiverton Town including former Wycombe men Chris Vinnicombe, Paul Buckle and Elliot Benyon. Others include Chris Curran whose own goal for Carlisle was Wycombe's first ever goal in the Football League, Kwame Ampadu, Steve Flack and Kurt Nogan. The town of Tiverton has a population of 21,335 according to the 2011 census and famous people to hail from Tiverton include 'chaser' Mark Labett and Bucks Fizz singer Bobby G.
I'd been wanting to visit Tiverton Town for some time now, seeing as it was the remaining ground that I needed to complete the top 7 levels of football in England (step 3 of non-league) or if you prefer the top 232 teams in the country. It was also a cracking ground and a club with a lot history. The only problem was, it was miles away and would cost me around £45 in petrol, all at a time when I was trying to cut down on my driving. The train was even worse, costing a disgraceful £95 return from High Wycombe. For a long time, I thought I'd be going to London, probably Lewisham Borough, as prices are a little more pocket-friendly in that neck of the woods. 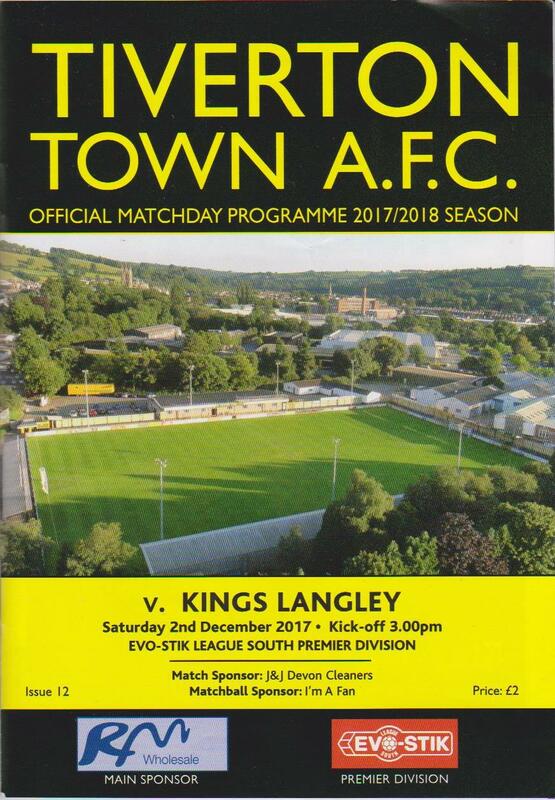 However, I then hit upon the idea of asking Kings Langley, who were playing at Tiverton this weekend, if they were doing a coach. I contacted them on Twitter to ask and received a prompt and friendly response that I could go on the player's coach for a tenner. This was an absolute steal, so I thanked them very much and booked on. Kings Langley had enjoyed a meteoric rise in recent years, playing at step 7 as recently as 2008. They enjoyed a double promotion in 2015 and 2016 to find themselves in the Southern Premier, last season staying up on goal difference last season. With just one team relegated this season, they were well clear of relegation, sitting in 20th at the start of the game. There was one player I recognised from Kings Langley's lineup - ace striker Mitchell Weiss. He had followed joint managers Ritchie Hanlon and Paul Hughes to Hayes and Yeading last season and scored a load of goals, following a budget cut at the Hertfordshire club. 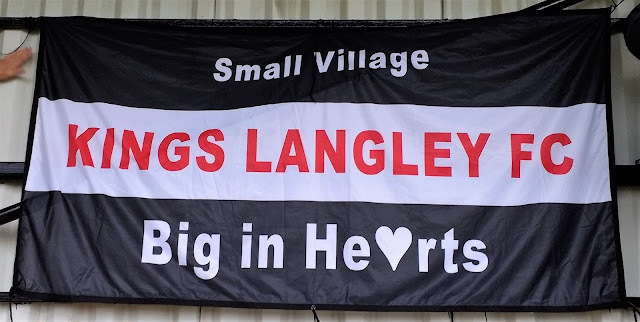 After being worshipped by my Hayes supporting pal Corey, he returned to Kings Langley after they stayed up at Hayes' expense, much to his chargrin and he has spent the time since winding up KIngs Langley fans on Twitter. The night before I watched the World Cup draw, England getting Belgium, Panama and Tunisia, just the sort of group that we should do well in, but usually mess up. I had a few drinks later on, leading to be going on an eBay spending spree, though in total my 3 items cost less than a tenner. I got to sleep around 11.30, waking naturally around 6 hours later. I wasn’t due to get up for another 90 minutes, but decided to get out of bed early and have a bath. After a fresh change of clothes, I had a sausage bap for breakfast while I watched TV. I left later than intended, at 7.35, but even with stopping to get a paper at Shell, I was still at the ground by 8.05. I got a quick picture of the ground for Instagram before joining the other Kings Langley fans as we waited for the coach. They were a nice friendly bunch and I noted to myself that I should come back and see them in a home game soon, having last been for a friendly against Hemel Hempstead back in 2014. 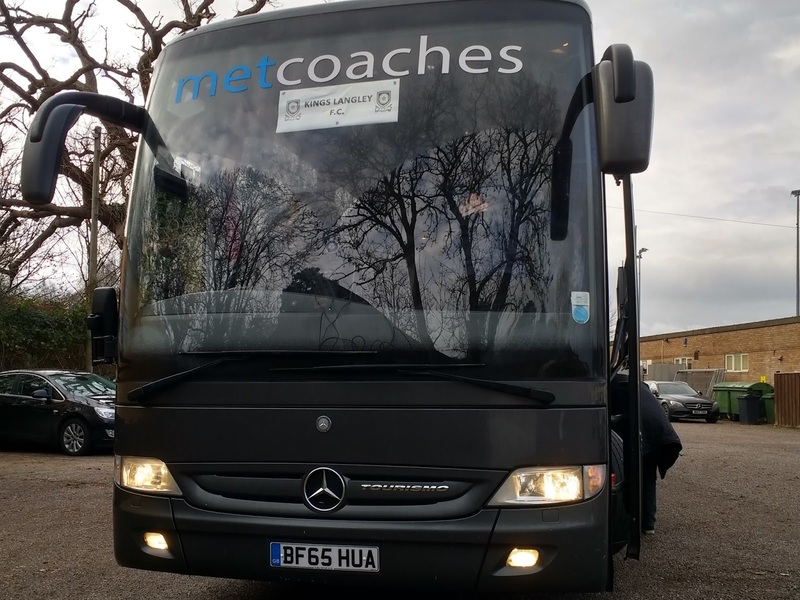 The coach arrived at 8.25 and was a pretty smart one with part leather seats, better than the usual coaches I go on. We stopped briefly at Beaconsfield services to pick some players up before the long journey west. I read my Daily Star before listening to Jon Holmes on BBC Radio Kent at 10. There was a 45 minute stop at services while the players had something to eat, I just wanted to get to Tiverton and had a cornflake cake as a snack. 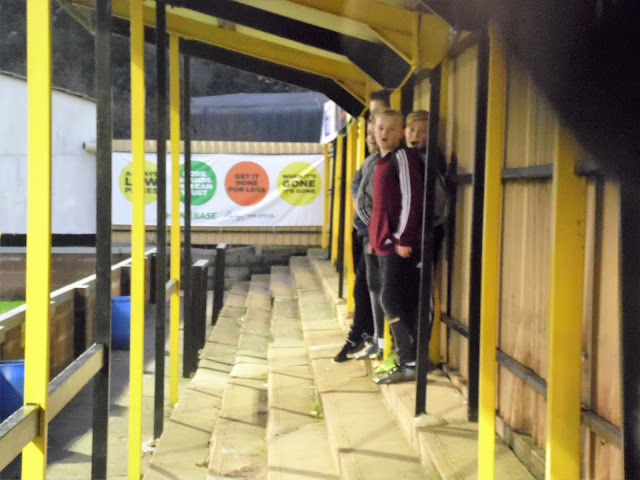 I chatted to some Kings Langley fans while we waited for the midday departure. 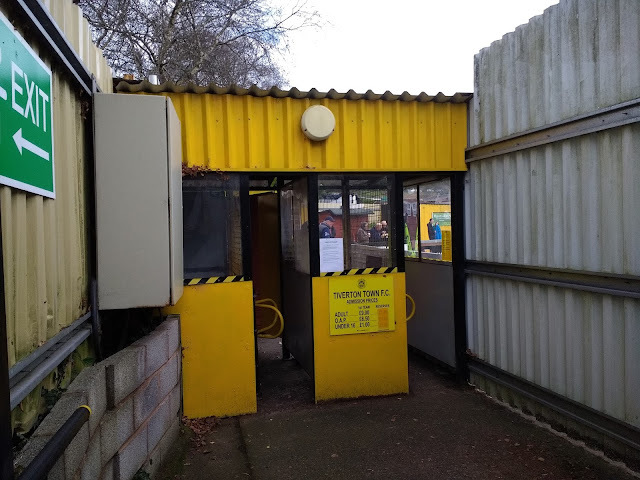 It was then just over an hour to Tiverton with me watching Notts County v Oxford City on my phone. 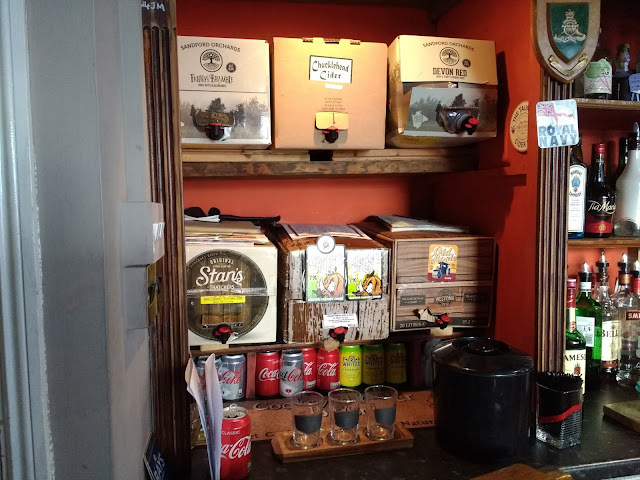 We got there at 1.15 with me going to a cracking micropub called Courtenay's where I had a pint of Chucklehead cider which was very nice. It was the only new cider on offer, so I made my way to Wetherspoons not expecting much. But the White Ball Inn was amazing, a choice of around 30 ciders and my first one was an excellent new try in Hunts Anscombe Bay. I'm sure I'd been in this Wetherspoons before, having stayed in Tiverton once, but for the purposes of my list, it was a new pub. My third and final drink was another from Hunts, the Wobbler being another one full of flavour. From there it was a 15-minute walk to the ground. I got there 5 minutes before kick off, joining the Kings Langley fans behind the goal. 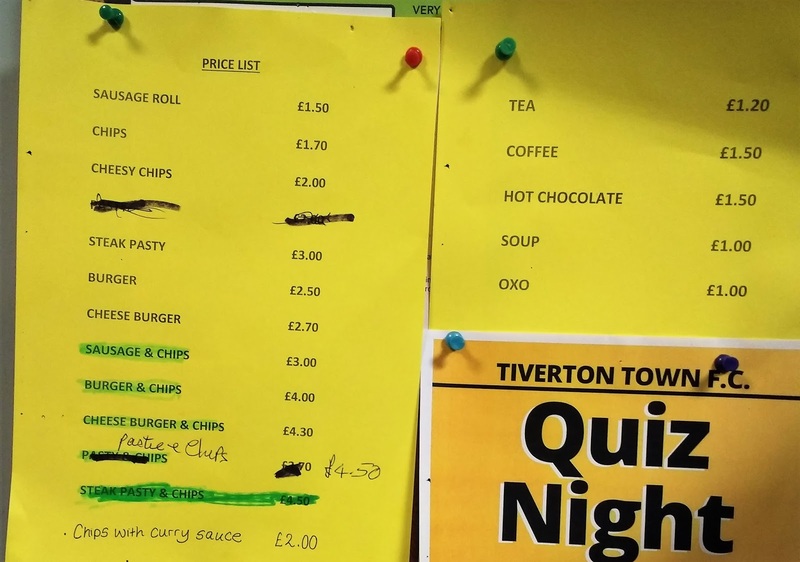 It was a good contest, Tiverton eventually winning 3-2 and the match report from the Non-League Paper is below. The winner was very controversial, the referee admitting that he didn’t see the penalty award and relied on the linesman. After the game the few Kings Langley fans, including myself, were invited into the boardroom for a freebie sausage beans and chips, plus a drink. On the whole, Tiverton was a great friendly club to visit, with the young ‘ultras’ coming over and shaking our hands, despite some cheeky chants during the game. 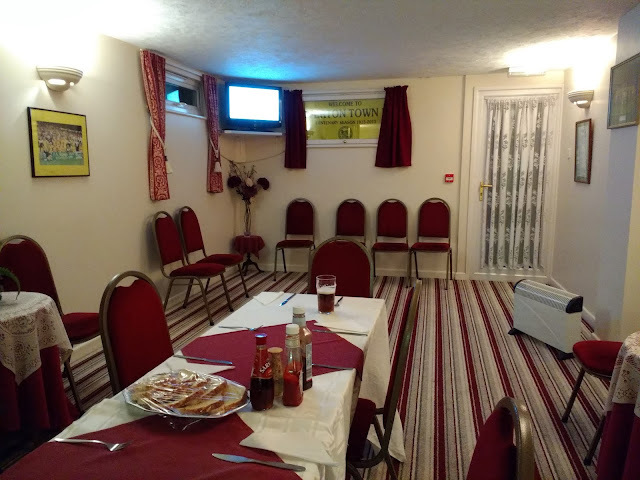 The hospitality was so good, we had a fair wait for the players after the game, with them having a well-earned drink. They were a very sociable bench and it wasn’t until nearly 7, with the coach driver fretting about his hours, that we got on our way. 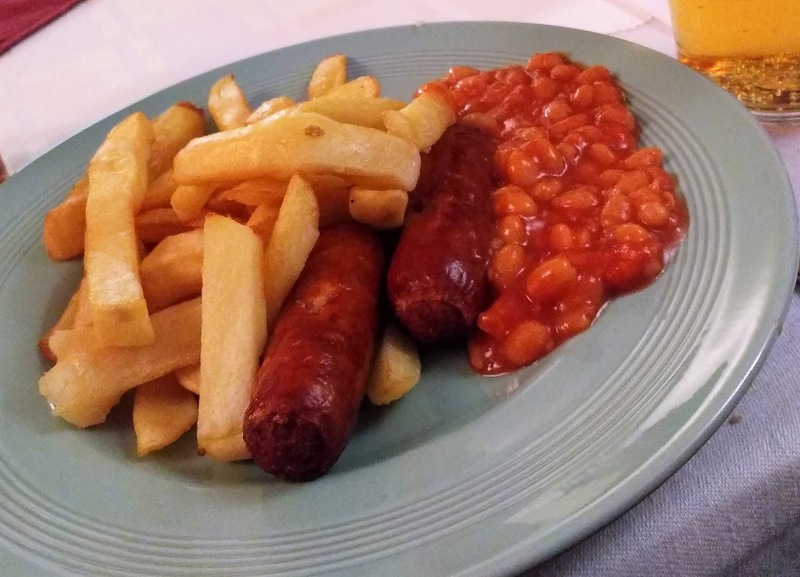 It was a bit of a pain hanging around without a pint, but I had to drive later on. I was glad to get back to the coach and have a can of Irn Bru and to charge my dead phone battery. The reason for the delay was a decent Premiership game, with Arsenal having Man United on the rack at times, but somehow losing 3-1. 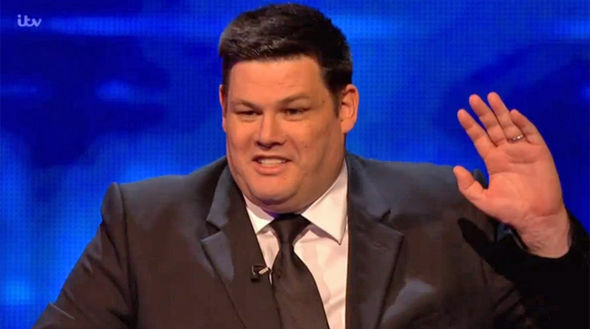 It was the main topic of the TalkSPORT phone in, which killed some of the time on the journey home. For some reason we stopped at services just half an hour into the journey, the players getting something to eat and I was glad of the toilet break. Half an hour later, we were on our way, the atmosphere being good on the way home, despite the loss. The players and fans had a sing-song on the way home and the team and club spirit seem excellent, probably the reason they are doing so well for a club of their size. There were plenty of good songs being played and that helped the journey pass. We did our drop off at Beaconsfield at 10.15 before heading back to the ground. I’d already decided that I’d be going to Coventry United v Bromsgrove Sporting on Wednesday, with fellow hopper Anwar back helping me out with petrol. We got back to the ground at 10.45 and after saying goodbye to everyone, I drove home. I got in just before 11.20, annoyingly with me up at 4 for work, I was wide awake and in no mood for sleep. I did eventually get to sleep at 12.30 but was still tired the next morning. 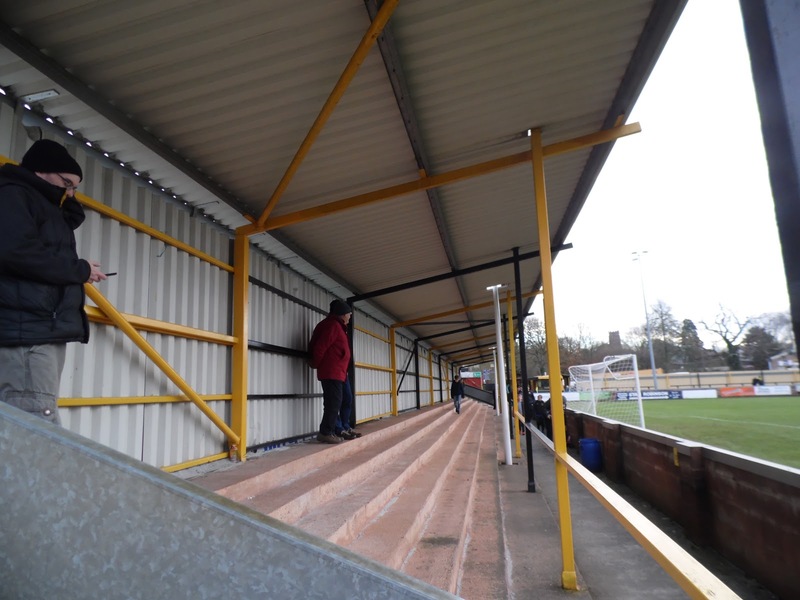 LADYSMEAD is an excellent ground, with cover on all 4 sides. Three of these are terraced and one is a large main stand with a 520 seated capacity. Overall, there is another 3000 standing capacity, with the vast majority of that covered. At the ground are food and drink facilities that are above average and there is also a basic club shop. 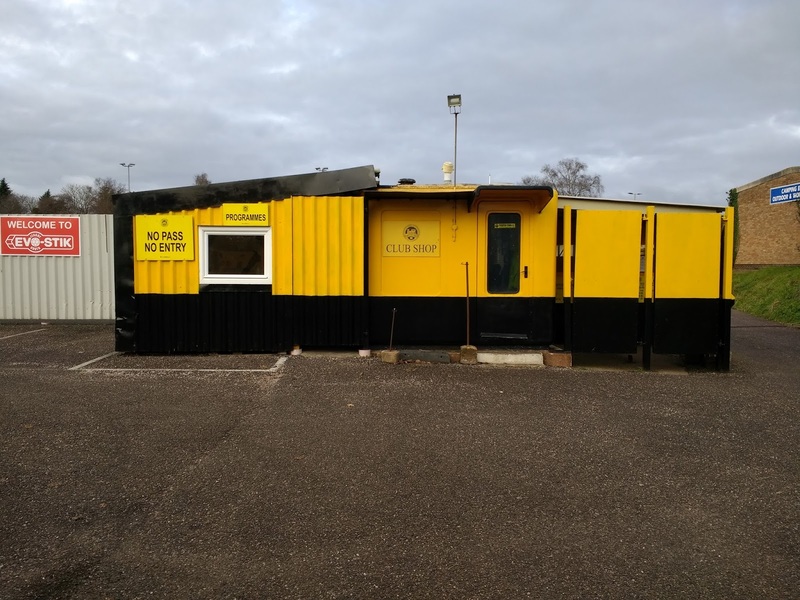 The club are very friendly and it was a pleasure to visit them. The town is very good, there’s an excellent Wetherspoons called The Old White Ball and an excellent micro pub called Courtenay’s. There’s also a number of other pubs and takeaways available, plus it’s only a short walk from the ground.